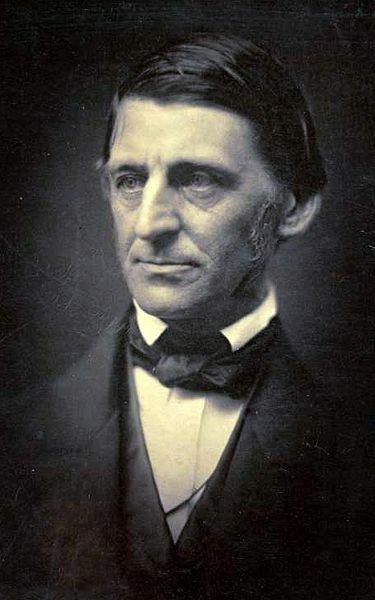 Perhaps more than any other American writer of his day, Emerson embodied not only the intrepid American spirit, but also the extraordinary individual spirit at the very core of each of us. His many invaluable contributions to American literature, while clearly the product of a very different time and place, continue to inform and enlighten us more than one hundred years after he departed this life. Recent contemplation and conversation have prompted me to explore the contrasts and the common grounds within our modern intellectual debate regarding the value of both scientific and spiritual insights in coming to terms with the nature of human consciousness. More specifically, there is an ongoing debate regarding how we might best seek to explain consciousness, whether it would be using only the most cutting edge technologies of modern Neuroscience and Psychology that are available in the 21st century, or to seek an expansion and sophistication of our ability to explain comprehensively the nature of consciousness by the inclusion of additional facets of both a philosophical and spiritual temperament. Now that the traditional celebration of Father’s Day has passed, it feels appropriate to reflect a bit on the thoughts inspired by the events of the past few days, which, for me, relate directly to the nature of parenting generally, and to being a father in particular. Both mothers and fathers have vitally important contributions to make as a parent, and it is important to keep in mind that the presence of BOTH in our lives, assuming that both love and nurture the children, can significantly enhance the outcome for our children, even though many still survive and thrive with only one parent, or with individuals who assume those duties through adoption or foster care. 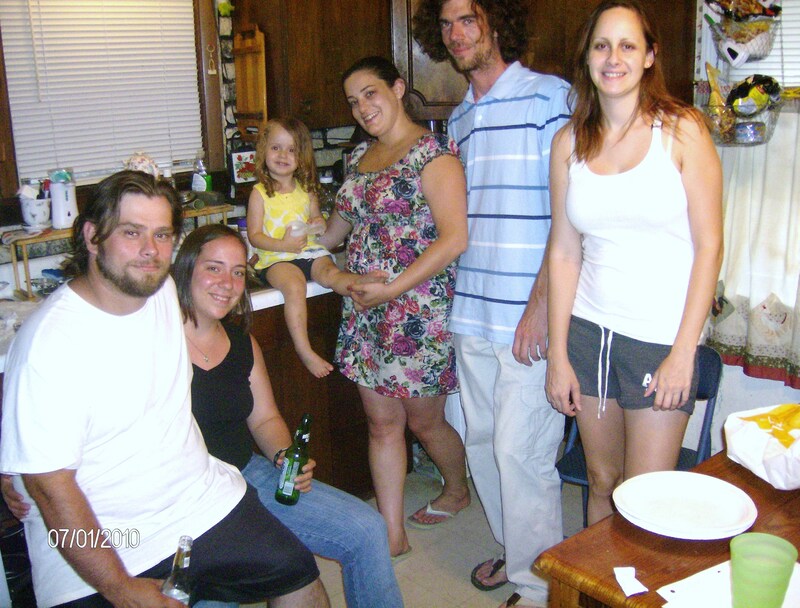 While it is true that many children end up with a missing parent for a variety of reasons, or end up with shared visitation which often includes step-parents, there is no magic formula for raising children, and the importance of shared parenting can extend well beyond the traditional arrangements and still be balanced, loving, and nurturing. On the traditional Father’s Day, I enjoyed visiting and communicating with my children, but my enjoyment was not dependent so much on what day it happened to occur, but more importantly on their intention to share time with me. I commented to my second youngest daughter’s message on Father’s Day, that EVERY day we spend time together brings me joy! After a long illness, the man who was grandfather to two of my children was laid to rest on Tuesday morning, and although the circumstances were unfortunate and sadly unhappy during some of the years prior to Tuesday, I found myself embracing the memories of those years with a much different perspective, as I comforted my children, and saw how much they loved him and grieved their loss of his presence in their lives. As a grandfather myself, I understood clearly how important the relationship can be, and also how important it is to honor the roles of both mother and father, or of each parent, no matter how that arrangement ends up being described. 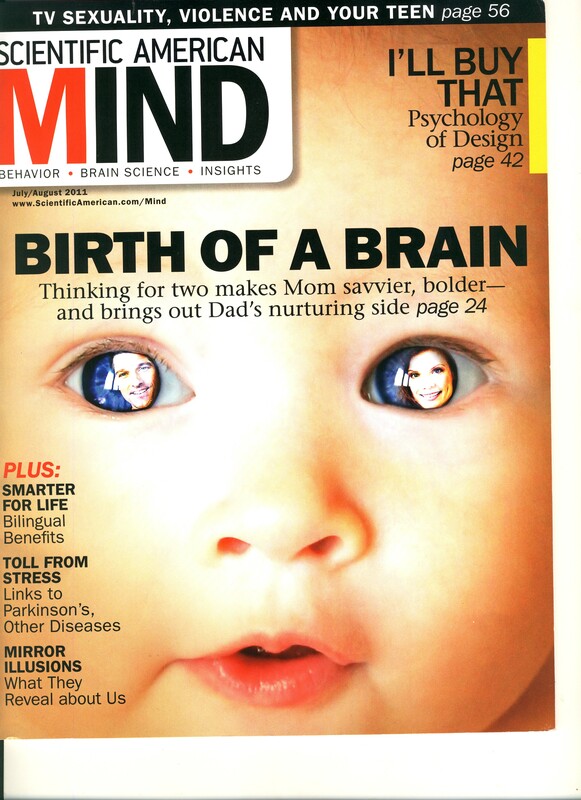 An article in the current issue of Scientific American Mind, [“How Dads Develop,” by Brian Mossup; July/August 2011.] 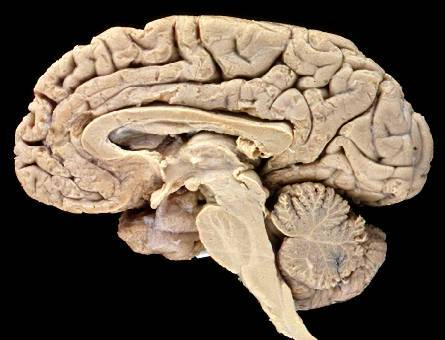 describes the astonishing changes that take place in the father’s brain after the birth of a child. Ever since witnessing the birth of each of my children, I have had an extraordinary connection with them all, and apparently those who adopt enjoy the same astonishing effects, and I can confirm this hypothesis having assumed the parenting responsibility for three amazing and beautiful children myself. Being a father is not simply a biological coincidence. It is, more than anything, a commitment to loving and caring and connecting to a child. Father’s Day is a great day for us fathers, and I love BEING a father, but there is a great deal more to BEING a father than biology, and this idea has implications that extend beyond parenting. 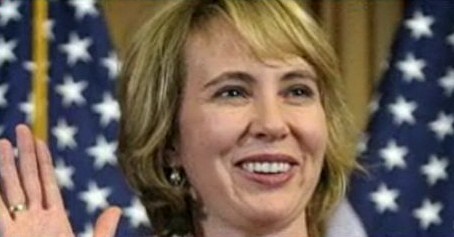 A news report today about the status of Representative Gabrielle Giffords, and her progress in recovering from the injury she sustained five months ago, and another regarding the status of her attacker, Jared Loughner, both speak to the essential roles of the brain, the mind, and the spirit, in the challenge to understand the nature of human consciousness. Whatever we feel about the circumstances of this tragedy, the terrible consequences for anyone who suffers any sort of brain injury reveal not only how vitally important it is to our well being that we are able to maintain the structural integrity of our physical brain, but also how easily even an intact brain can suffer from the inability to make proper use of its enormous intellectual capacity, which we mostly take for granted in our daily lives. 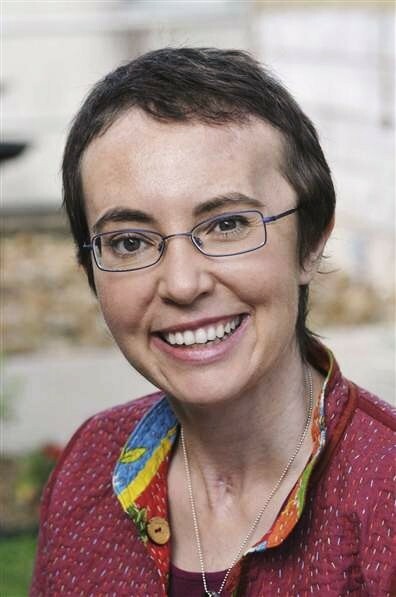 Gabrielle Giffords sustained a very serious injury to the structure of her brain, and while her recovery can reasonably be described as “miraculous,” in view of the extent of the damage, she is struggling with an enormous disadvantage in her efforts to reclaim her previous abilities. Her difficulty in “communicating” with others, and the challenges represented in regaining her status as a member of Congress, while daunting to be sure, take nothing away at all from her heroic efforts to do so, and the simple fact that she is alive and able to attend to these difficulties should inspire all of us. Imagine her frustration as she works toward re-establishing even the most basic communication skills, and reconstructing her life and career, impaired not by her capacity as an intelligent and articulate human being, which we all know still exists within her, but by extensive damage to her brain, which controls and modulates the ability to speak, and to form sentences, and to express the subtleties of comprehension. The extraordinary spirit which drives the person we all know as “Gabby,” is so clearly present in her determination to recover, and in the forceful way her actions express that determination, there can be no doubt that whatever maximum degree of recovery ends up being possible is what she will achieve. Her ability to inspire is in direct ratio to her ability to recover. If this is not evidence of the existence of the human spirit, then I don’t know what else could qualify. The person responsible for the attack has been declared incompetent to stand trial presently, and the report notes his inability to assist those attempting to prepare his defense in court. He appears not to be capable of even the most basic comprehension of his act, in spite of having no known impairment to the physical structure of his brain. Whatever the character of his impairment might actually be, it seems clear that some sort of deficit in normal thought processing exists to the point where, whatever the character of his spirit might be, it cannot be reached through the normal channels, and cannot be expressed in any manner resembling a rational or compassionate viewpoint. We need our brains to express our thoughts and to demonstrate our intellectual capacities, whatever they are, but the spirit which animates us, our true selves at the core of our humanity, must first exist before our brains and our minds can even begin to express its existence. One of the most compelling forces behind much of my writing also happens to be one of the most important reasons why we should question the current wisdom of the modern study of human consciousness. Aside from acknowledging the central role that consciousness plays in our existence and the nearly complete lack of comprehension of its nature generally, the repeated encounter with individuals who feel confident that the subjective experience of consciousness is a product of brain function only, virtually screams for a dissenting voice in the world. It’s not that I don’t appreciate the completely reasonable disparity in the thinking which surrounds the controversial nature of the subject matter. Throughout human history, many of the most important issues of the day usually find a variety of human beings landing on opposite ends (and in every variation in between) of the whole spectrum of human thought regarding everything from what constitutes reality to morality and ethics. Diversity of thought in the realm of public discourse on most any subject will eventually result in some sort of consensus in the long run, and while I would not discourage discussion on any genuine attempt to describe the nature of our very human existence, to describe neurobiologists as “interested in how brains give rise to subjective experience,” as an article in the June issue of Scientific American did, immediately raised every hair on the back of my neck. According to the article, “A Test for Consciousness,” by Christof Koch and Giulio Tononi, in the June 2011 issue, “The unified nature of consciousness stems from a multitude of interactions among relevant parts of your brain.” The writers go to elaborate lengths to justify this premise, none of which, in my view, even come close to convincing the reader that consciousness can be so easily explained away. Part of the problem with judging as to whether or not a machine can be “conscious” lies in the difficulty we currently encounter when we attempt to confirm this same condition in other sentient beings. We experience conscious states vividly in our own day-to-day existence, but can only “infer” conscious states in others through observations and interactions with them. We cannot know with absolute certainty what others are experiencing, precisely because of the nature of conscious awareness. Even when conscious awareness was finally possible for the early humans, they did not immediately spring into functional consciousness. 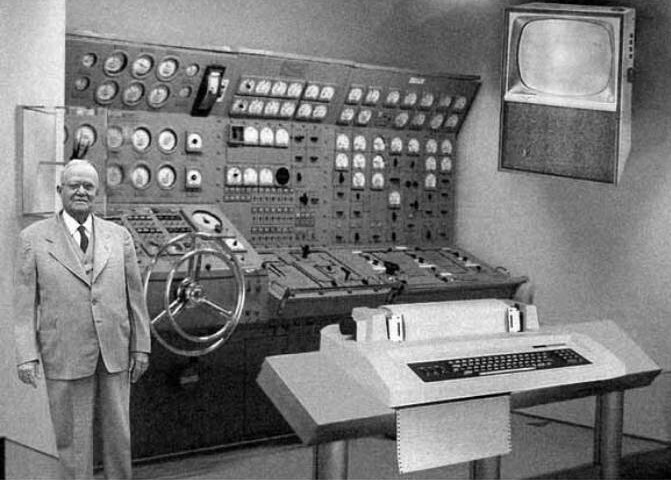 Even with the advantage of being able to “load” information into a machine, which is still a fairly lengthy process for humans needing years of learning, there are very few shortcuts available for accumulating experience, which is the real game changer. In the postings to come, I will attempt to elaborate on this theme from a variety of viewpoints, and encourage anyone reading who is genuinely interested in the subject, (is anyone reading?) to ask questions or comment as I cover this ground.